Dental implants are the gold standard for replacing missing teeth. These titanium posts can serve as artificial tooth roots and create a stable foundation for dental crowns, dentures, or bridges. To accommodate the varying needs of our patients, Peak Family Dental Care offers traditional, mini, and same-day dental implants. Patients in Cottonwood and Flagstaff, AZ, can receive safe, convenient dental implant placement by Drs. Bryan J. Shanahan or Ryan Tuinstra. Our implant surgeries are aided by advanced technology that enables highly accurate placement and superior results. Failure to replace missing teeth can lead to severe oral and overall health issues. When a tooth is no longer present, a gap is left behind. This empty space can cause dental collapse, bite issues, and conditions such as temporomandibular joint (TM) disorder as other teeth begin to shift out of position to fill the gap. Tooth loss can also allow food and plaque to accumulate in crevices of the gums which can lead to serious infection. Patients will also often begin to experience difficulties chewing and speaking. These complications can usually be avoided by seeking prompt tooth replacement by a trusted professional. You can restore full form and function to your smile with confidence when choosing dental implants. At our practice, we provide all phases of treatment. You can work with our trusted doctors to receive and restore dental implants with high-quality crowns, bridges, or dentures. Each type of implant is best suited for patients with differing circumstances. While mini implants may be an excellent solution for patients lacking sufficient bone density for traditional implant posts, they are not always the most durable solution. Same-day implants are offered through an advanced technique and can allow some patients to leave our office with a full set of teeth in just one day, however, you may not be candidates for this procedure. You will attend a consultation with your doctor to determine which type of implant is best for you. Dental implants fuse with the jawbone to support your custom restoration. Some patients may require preliminary procedures prior to receiving dental implants. Those who do not have sufficient bone tissue to support implant posts may be able to undergo bone grafting to rebuild the jawbone and restore candidacy. Patients whose sinuses have expanded or who have experienced bone loss in the upper jaw may need to undergo a sinus lift. In addition, those seeking to replace an entire arch may require extractions of any remaining teeth. Once all preparatory treatments are completed and you have been cleared for surgery, you can receive your implant posts. For your comfort, we can administer oral conscious or nitrous oxide sedation. If IV sedation is required, we can also bring in a dental anesthesiologist. We provide all the aspects of your dental implant procedure at our practice for convenient care that is held to our highest standards. 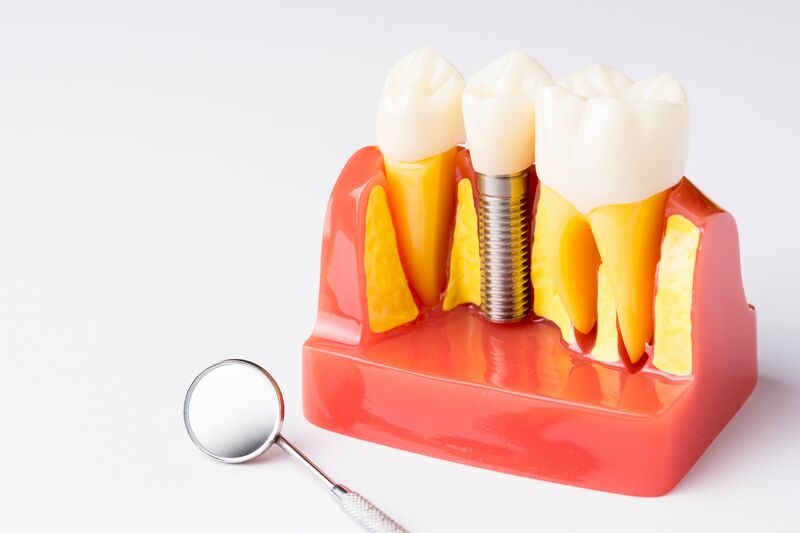 On the day of your procedure, the doctor will begin your dental implant surgery by making incisions at the previously determined implant sites. He will then insert the posts into the jawbone. The incisions will then be sutured closed to complete the procedure. Generally, it will take about three to six months for osseointegration to occur, during which the post will fuse with the jawbone. During this time, you will be provided with a temporary restoration. Once you have fully healed, our team can create a custom, lifelike crown, bridge, or denture and restore you implants for natural-feeling results. Why Choose Peak Family Dental Care? At Peak Family Dental Care, our priority is offering long-term solutions that our patients can trust. For over 15 years, our doctors have been placing and restoring dental implants. Our experience and growth have allowed us to provide patients with exceptional results that improve not only smiles, but quality of life. We have successfully placed thousands of implants that have allowed our patients to improve their oral health and achieve optimal aesthetics and functionality. We have also integrated advanced technology to perform the most accurate procedures for long-lasting results. During the planning phase, we will use a cone beam scanner to evaluate your bite and 3-D implant planning software to ensure precision. We have successfully placed thousands of implants that have allowed our patients to improve their oral health and achieve optimal aesthetics and functionality. We strive to ensure patient satisfaction in all that we do by providing care that always serves your best needs. If you are missing teeth due to damage or decay, contact us online or by phone at (928) 774-2500 to change your life today.